In between writing food pairing suggestions for HopHeadSaid.com, Curtis also writes brewery highlights for CraftBeer.com and he also writes about the local beer scene (Ventura County) for VCBuzz Magazine. When Curtis isn't writing he is also a regular guest host on the #1 rated local radio show in Ventura County, Live 805 with Tom and Sandy (see below). Curtis covers the 805 (SoCal and Central Coast area code) beer scene as well as local beer and food pairing opportunities. Curtis isn't content to report about beer for other people, that's why he co-hosts and produces two other podcasts. "Happy Hour with Joby and Curtis" is a weekly internet radio show that is all about alcohol. Curtis gets to play the newbie roll (all his drinking experience is with beer) most of the time as he and Joby explore the world of high end liquor and cocktails. pints&pairings is a weekly podcast/video cast that explores each beer style and provides food flavor descriptions, historical or style information and food pairing suggestions. <--Click the pints&pairings logo to learn more about the show. rt. click and save for later. In this bonus episode, Jason visits Happy Hour (another podcast I co-host) and does an hour presentation about beer and cheese pairings. When you are done listening, you will be able to take away enough pairing information to host your own dinner and wow your friends the next time they come over! A while back a friend of mine challenged me to do a taste test and beer pairing for the BIG 3 lights/lites. I resisted for a long time (I don't want to spend time drinking beer I don't enjoy) and it only seemed like a reasonable request after Jason and I started this podcast. A weekly, internet radio show I co-host that explores and celebrates beer, wine and spirits. Joby Yobe, owner of Barrelhouse 101, is my co-host and he brings a vast knowledge of wine and spirits from years of owning a liquor store to the show. Together we know the right questions to ask for newbies and geeks to keep everyone entertained and educated. <-- Click the Happy Hour logo to learn more about the show. Episode 17: Joby and I take the show on the road and visit a local craft beer bar called Darryl's Couch. Darryl tells us what got him the craft beer bar biz and we drink some really great beer! Episode 18: Jason Hendrick (form Everybody's Hungry andpints&pairings) joins Joby and Curtis for a beer and cheese pairing dinner. When you are done listening, you will be able to take away enough pairing information to host your own dinner and wow your friends the next time they come over! Episode 19: Joby and I discuss summer cocktails as make our way through three lesser known, but, very delicious cocktails. We also welcome our first female guest (We know it is long over due! ), Lumina. She is a bartender at Barrelhouse 101, she is Brazilian and she can make a mighty tasty Caipirinha. Episode 20: Joby and I interview Janis and Marlow Barger from Plan B Wine Cellars. We discuss the unique name of their winery, their preferences in wine and why they chose to focus on Rhone varietals. We also talk about the differences between a Rose and White Zin. Episode 13: Joby and I welcome Scott on the show because he makes the best Bloody Marys you have ever had. Listen in to find out what makes them so great. Episode 14: Chas Cloud, headbrewer at Surf Brewery, is our guest for this episode and we talk about his journey from real-estate developer to head brewer. Oh, and we drink a lot of tasty beer! Surf's up dude! Episode 15: Unfortunately, this episode fell victim to corrupt file syndrome. Episode 9: In spite of the hooligans outside the studio, we had a great show with the Phestival Barrel House brothers. They are opening a new sour beer brewery in Moorpark, CA and they've got a great story and even better beer! Episode 10: A show of firsts! This is our first 90 minute show, we stream video for the first time and Joby and I host our first distillery. Alex Villicana, owner of Re:Find distillery, tells us how he turns "extra" grape juice into Brandy, Vodka and Gin. He walks us through the distillation process and lets us taste as many samples as we can handle! Episode 11: Joby and I go solo this week as we investigate and taste-igate some common Irish-themed drinks. And NO, we didn't drink any green beer. Episode 12: Unfortunately, this episode fell victim to corrupt file syndrome. Episode 5 is a lost episode. We are searching for it! Episode 6 is a lost episode. We are searching for it! In episode 7, Joby and I talk to Rob, one of the founders of Firemans Brew. We carefully dissect his beers, talk about saving lives, and learn about their expansion into 10 states. In episode 8, Joby and I discuss the new perfect glass for IPA's and speculate on whether it is ribbed for his or for her pleasure. Our first episode (11/29/12)! Nick Velasquez, brewer extraordinaire of Ouroboros Ales, is our guest and talks us through a tasting of his beers. *Update* Ouroboros Ales has closed since this show first aired. In our second episode (12/6/12) we interview Gary Stewart of Four Brix winery and discuss three wines he brought to taste! We get geeky on microclimates, grape varietals and Thai food pairings! Click the link below to learn more about Four Brix Winery. In our third episode Joby and I talk about the Westy 12 release and the end of Stone's Vertical Epic series. After the break we visit with Jason Coudray, brewmaster from Anacapa Brewing and learn about his journey to becoming the head brewer. cover extreme entertainment such as skydiving, zip-lining, and more. they keep their listeners laughing. In this segment, I talk about Surf Brewery and Escabeche Bistro food pairings. Delicioso! I discover a new craft beer bar in Camarillo. In this segment, I talk about Phestival Barrel House. A new sour beer brewery opening in Moorpark, CA. In this segment, I explain what American Craft Beer Week is and how you can celebrate it in the 805. In this segment, I talk about Camarillo as a craft beer destination. 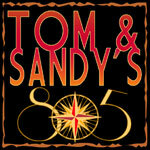 I start by realizing Tom and Sandy are 10 years younger than me and from there we talk about beer and bacon pairings at the Sidecar Restaurant in Ventura. I start by explaining how to pair beer with chocolates and then move on to the finer things in life like 10, 15 and 80% beers! Leading up to Thanksgiving, I talk about a really great beer brine for turkey and explain two beer pairings for all those delicious deserts. This is the best time of the year, Novembeer and Decembeer, and holiday beers. In this episode we discuss holiday beers and what makes them so yummy. I also talk about two champagne alternatives. In this segment I discover how to turn my headphone volume down and talk about one of my favorite liquor stores in Ventura County. 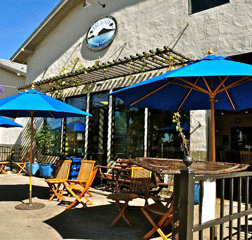 We also talk about a delicious fish taco food pairing and all of it can be found at the Ojai Beverage Co. In this segment I address the fact that I haven't once talked about drinking in moderation. I also talk about how I use a designated driving service called We're Driving if I do have too much to drink. In this segment I talk about Telegraph Brewing Company and pairing their beers with food. In this segment I talk about Figueroa Mountain Brewing Co. and their expansion into Santa Barbara. In this segment I talk about NFL food pairings taking special care to use beers from the 805. Bo's Man Cave is hosted on 1450AM and covers the local and national sports scene. Click the little speakers below to listen to my segments. I discuss beer and food pairings for the big game that are New York-centric. I discuss beer and food pairings for the big game that are New England-centric. My first print publications! 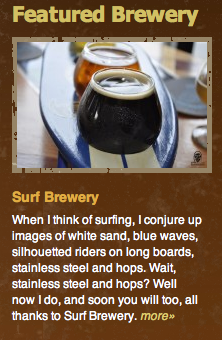 My articles cover the Ventura County beer scene. Featuring my cheeseography! (pictures of cheese) Photo credits not listed. Featuring my first beertography! (pictures of beer) Photo credits not listed. I learned a painful lesson... never send in a rough draft! Features Island Brewing Co. I cover two beer festivals and give you tips on how pace yourself. I cover Ventura's newest beer bar, Barrelhouse 101. I break down a traditional wine/food pairings and pair chocolate with beer! 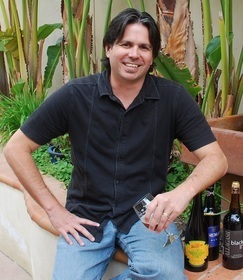 This feature highlights Santa Barbara Brewing Co. and one of my favorite beer pairings. I write brewery highlights for CraftBeer.com that showcase the breweries in my backyard as well as anywhere I travel. I have been and hope to continue to be featured in my local paper. Click the titles below to read the articles. My first newspaper byline and photo credits were published in the VC Star! This article features area bloggers and I'm one of 'em! All four teams left in the NFL playoffs are giving it their best effort to ensure they'll be around to play in the big game on Feb. 3, Super Bowl Sunday. 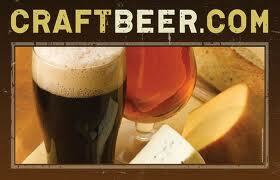 I am honored to be highlighted as one of Camarillo's craft beer attractions.